I never feel too sure I know what I’m doing in a bookstore. The Country of the Pointed Firs. These are places for bookish people, people who can’t get enough of books. I have plenty of books at home that I haven’t read yet. Bibliophiles. They wallow in the smell of books, the look of books, the aura of books, the passive readiness of books to be found and bought and absorbed. Or collected, anyway. Books mean a lot to me, or they do in retrospect, but when confronted with a plateful, I take them with a pinch of salt. The Painter of Signs. National Independent Bookstore Day is April 27, 2019. 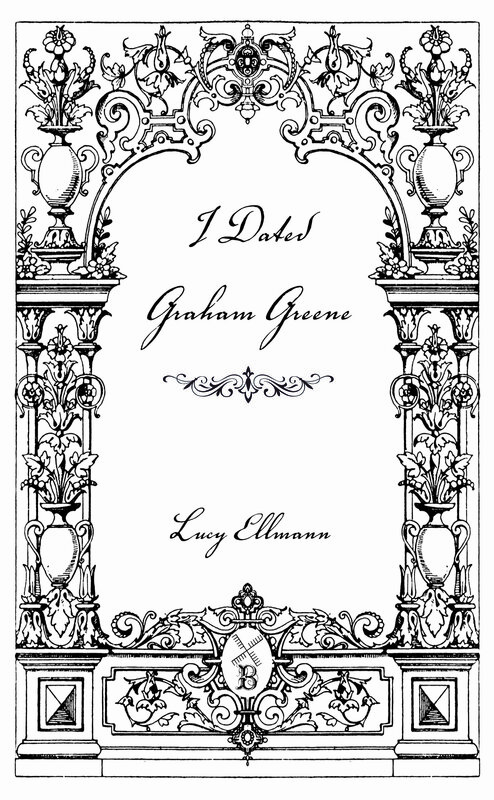 We’ll be celebrating at Biblioasis Bookshop as well as by publishing “I Dated Graham Greene” by Lucy Ellmann, author of Ducks, Newburyport, as a limited-edition chapbook, available for sale only at independent bookstores. ⏵Self-hatred, about my own ignorance of writers’s names and whole divisions of human thought: theosophy, astronomy, archery, accounting, Antarctica, animal husbandry, systems analysis, steam trains, Manga, orchids, forensics, and party-planning. ⏵Embarrassment, about how slowly I read and therefore how curtailed my reading has been, over my lifetime. ⏵Bewilderment, when I can’t find my way around. This happens to me no matter how small the store is. ⏵Amnesia, trying to remember all the books I meant to seek out. ⏵Fear of not finding what I want or, if I do find it, begrudging the cost. ⏵Disappointments, especially common in those halfempty bijou bookshops that only have one copy of no more than a hundred titles, curated for the color of their covers and how good they look facing outwards on the shelves. ⏵Geriatric affronts, when they don’t have the children’s books I remember. ⏵Bruising encounters with bookstore staff. Some are so gruff, some suspicious, some are eager beavers, some are never off the phone. ⏵Déjà vu, with all the usual suspects filling the shelves, as lurid as detergent packets: the cookbooks, thrillers, bestsellers, sci-fi, and exhaustive accounts of wild swimming, and the same in their audio versions. A good bookshop should teach a little taste, not just load you down with genre escapism and advice on adultery or cleaning your computer. ⏵Disgust, finding books like The Lovely Bones or anything by John Grisham given pride of place and a personal recommendation handwritten by an underling. While real novelists languish for want of a dime! In reality, though, fiction doesn’t sell. Cat books sell. ⏵Surprise in finding how prolific other contemporary writers are. Some people sure can pound the stuff out. ⏵A sudden sense of defeat, following such shocks. Feeling crushed, I start to plod around, searching the shelves for unlovely bones.